It’s that time of the year again—Spring Service Changes is here! Most changes are effective Monday, April 23. As part of the Mayors’ Council’s 10-Year Vision, we’re delivering increased service at busy times on the 229 Lonsdale Quay/Lynn Valley, 337 Fraser Heights/Guildford/Surrey Central Station and 403 Three Road/Bridgeport Station to reduce wait times for our customers. 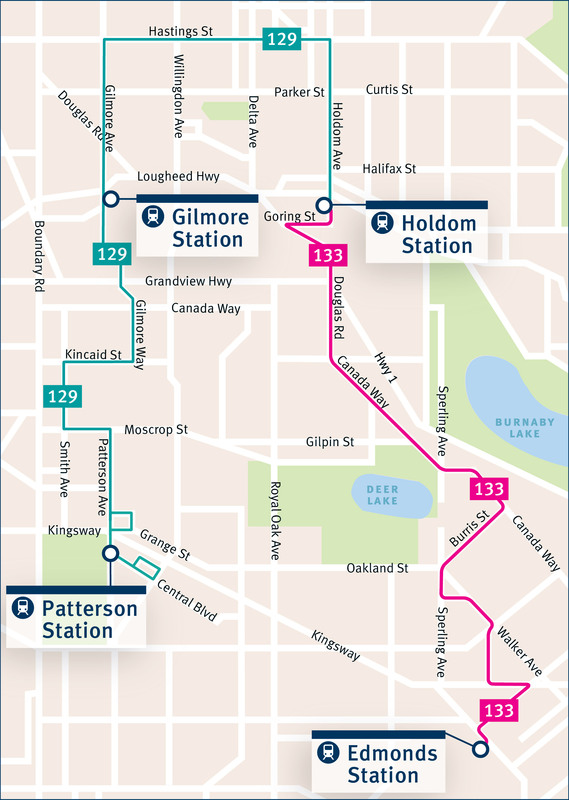 The 129 route is renaming into the 129 Patterson Station/Holdom Station and 133 Holdom Station/Edmonds Station to make the routing easier understand and more intuitive for our customers. Bus routes that service post-secondary institutions, including the 125, 145 and 480, will be adjusted to better reflect ridership during summer semester. C-ya later! We’re phasing out the “C” on more community shuttle routes this round of service changes, so your route number may be changing. Among them is the C18 and C20, which are now the 68 UBC Exchange/Lower Mall and 70 UBC Exchange/Westbrook Mall. The letter “C” used to indicate that a route was only served with community shuttle buses. Today, we can better serve our customers by operating different sizes of buses interchangeably, depending on demand. These are just a few highlights from the Spring Service Changes! For a complete list of the improvements we’re bringing to your neighbourhood, visit translink.ca/servicechanges and stay tuned for Bus Route Buzz. 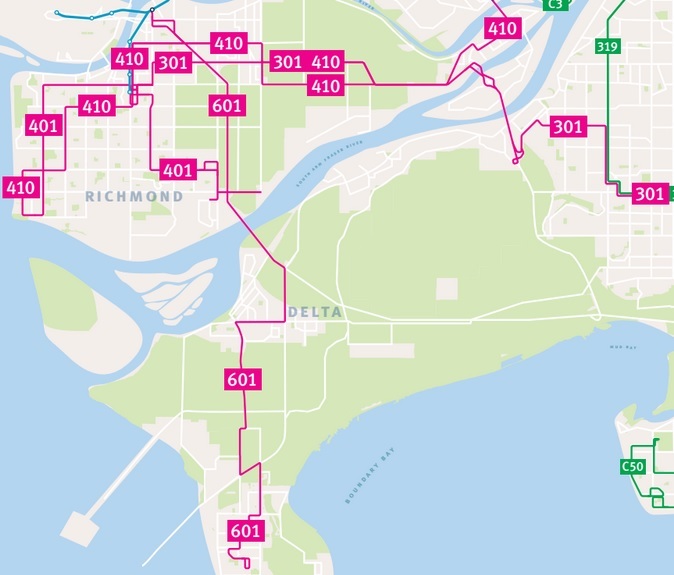 Four times a year (spring, summer, fall, and winter), TransLink updates its bus service schedules to reflect seasonal changes in customer demand and to optimize service. Plan your trip at translink.ca/tripplanner! Have specific route questions? Tweet us @TransLink or call 604.953.3333. Bus Route Buzz is our series that takes a deep dive look into quarterly service changes coming to your area. This edition takes a look at improvements to Maple Ridge, Pitt Meadows and the Tri-Cities. Bus Route Buzz is our series that takes a deep dive into quarterly service changes. This edition takes a look at improvements South of the Fraser. Bus Route Buzz is our series each service change that takes a deep dive into what’s coming to your area. In this edition, we take a look at improvements in Burnaby and New Westminster. TransLink makes bus service changes every quarter (spring, summer, fall and winter), to reflect seasonal changes in demand and bring more service to where customers need it most. This winter, we’re improving bus service to reduce overcrowding and wait times, expand service hours, and increase reliability. Bus Route Buzz is our series each service change that takes a deep dive into what’s coming to your area. In this edition, we take a look at improvements in Vancouver. We’re improving bus service to reduce overcrowding and wait times, expand service hours and increase reliability! More than 29,000 annual service hours of bus service are being added as part of Winter Service Changes that began on December 18, 2017 and January 1, 2018. Bzzzzzzz! It’s back! Bus Route Buzz is back for the final service change installment of 2017! Hey Vancouver! This September, why not save some fuel and take the bus to school?! In addition to regular seasonal bus changes, we’re adding more service to reduce crowding on the 25 Brentwood Station/UBC, 49 Metrotown Station/UBC and 84 VCC-Clark Station/UBC. September means back-to-school for many in Metro Vancouver. Come September 4, as part of Fall Service Changes, and the 10-Year Vision we’re bringing increased capacity on many of the region’s most crowded routes including the 620 to Tsawwassen Ferry Terminal, the 240 to North Vancouver and the 351 to White Rock. While the vast majority of Metro Vancouver continues to enjoy the final months of summer sun, sand and surf, we’re working hard behind the scenes to prepare for fall service changes at TransLink. With back-to-school upon us, we’re focused on improving service to post-secondary schools including UBC, SFU, BCIT and Capilano University. We’re also bringing more frequent connections to SkyTrain to help move you quicker and more efficiently through the region. 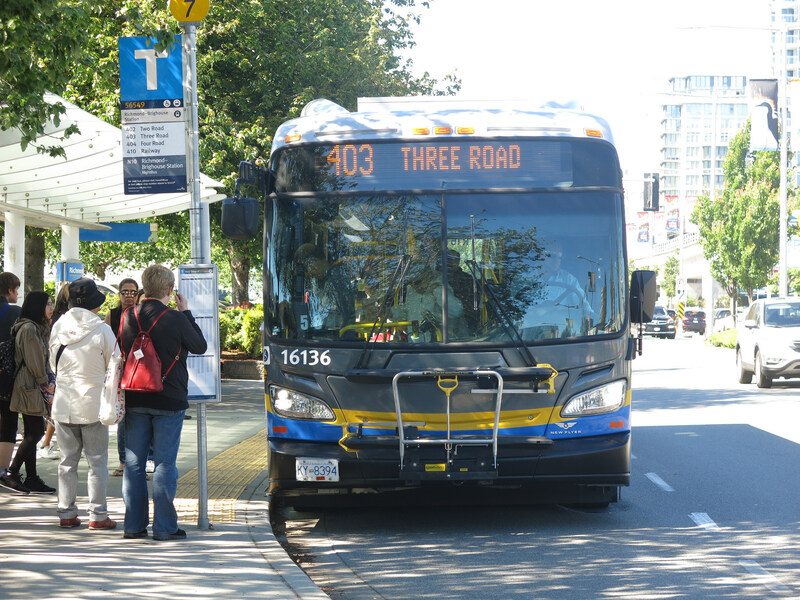 We’re combining great news for two service areas today in Bus Route Buzz; Burnaby and the North Shore including Bowen Island. Increased Saturday service from 8 a.m. to 11 p.m. Increased Sunday and holiday service to operate every hour, up from every two hours. Increased weekday service to operate every 20 minutes, up from 30 minutes, from 7-9 a.m. and 1-4 p.m.
Service between Phibbs Exchange and Capilano University is discontinued and will resume in September. If you’re travelling between Phibbs Exchange and Capilano Univeristy, take the 239 Capilano/Park Royal. If you’re travelling between Phibbs Exchange and Capilano University, take the 239 Capilano University/Park Royal. AM trips leaving Burrard Station operate at 6:20, 6:50, and 7:20 a.m. then every 15 minutes until 8:50 a.m. to better reflect seasonal ridership. We’re doubling service on the 236! Weekday service runs approximately every 15 minutes between 9 a.m. and 3 p.m. during the summer to improve passenger connectivity with the SeaBus. Capilano Open service to and from Capilano University during peak periods is discontinued and will resume in September. All trips will end after April 28, to coincide with the end of semester at UBC. Service will resume in September. Travelling between West Vancouver and UBC? You can either take the 250 Vancouver/Dundarave or 257 Vancouver Express/Horseshoe Bay, transfer at Burrard at Georgia to catch the 44 UBC/Downtown. The 7:53 a.m., 7:56 a.m. and 8:05 a.m. trips arriving at Willington Ave/Canada Way are discontinued starting Monday, May 29, 2017 and will resume in September. Passengers can use the 239 as an alternative to travel to Capilano University. Attention New Westers! …. New Westminsterians? Sappers? 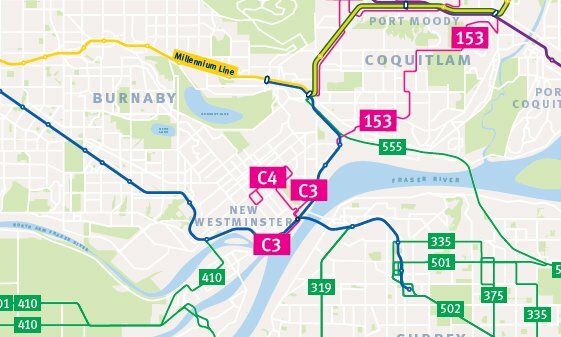 Well, let’s just say if you live, work or take transit in and around New Westminster, this Bus Route Buzz is for you! As a reminder, many of our Spring Service Changes bus improvements are made possible by the 10-Year Vision and part of a three-year roll out of bus expansion to reduce crowding, improve service frequency and capacity issues as well as expanding routes into underserviced areas. You can view upcoming changes to the bus network as a part of this plan here. For seasonal Service Changes that happen four times a year, click here. We’re adding more service during peak periods to reduce crowding and pass ups. Service every 12-14 minutes from 6-9 a.m. and from 3-6 p.m.
We’re increasing service to better meet the needs of our riders! Many will experience shorter wait times for buses and between transfer connections, as well as less crowding on buses and reduced pass ups. We’ve added additional service from 1:30-4 p.m. and 10 p.m. to midnight. We’ve added additional service from 10 p.m. to midnight. Extended service on weekdays and weekends to run every 20 minutes from 9 p.m. to midnight. Extended service on weekdays and weekends to run every 30 minutes from 9 p.m. to midnight. The C9 New Westminster Station/Lougheed Station now permanently travels through the Fraserview neighbourhood via Cumberland and Richmond streets.